Death metal band formed by four mexican women. Introtyl has 8 years experience on stage playing their own music, performed in the most recognized stages all over Mexico, but also plying shows in many cities on tour through Mexico, US and Canada as Headliners. This band had shared stage with metal bands such as Gorguts, Nervosa, Pathology, Unleash the archers, Malignancy, Transmetal, Phyrexia, Despised Icon, Jungle Rot, Cattle Decapitation, Beyond Creation, Obey the Brave among others. Introtyl is one of the most recorgnized female bands in Mexico and the most recognized in Death metal scene. Having two albums on sale, Introtyl is working in new tourdates for promotion. Friday, Oct 19th, Gus' Pub & Grill, 19+. $10 or HPX Bracelet. WarCall with special guests, all the way from France Through The Dusk and Halifax's own Chaotic Christ and Behold, The Conqueror. and Red Tentacle! Sponsored By Halifax's Rage Room! Advanced Tickets $7, at the door $10! Tickets on sale Friday March 23. Details coming soon. $15 adv, $20 door. Adv tickets on sale NOW! Friday, July 6th, The Caveau, Doors 9pm, Show 10pm. Thursday, July 5th, The Capital Complex. Doors at 9pm show at 10pm. 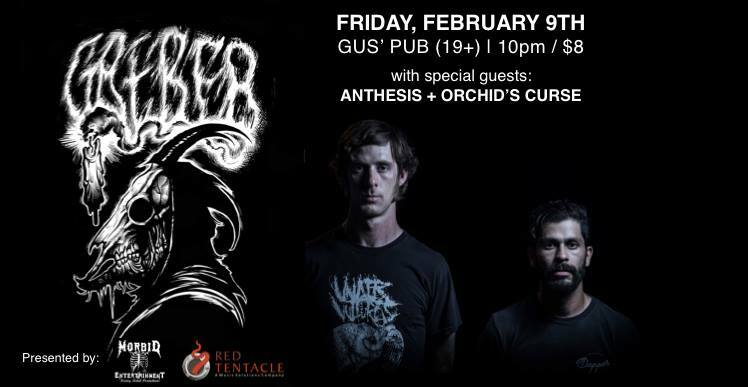 Rivers of Nihil w/ special guests ALTERBEAST and INFERI. Saturday, May 19th at Gus' Pub & Grill (19+). 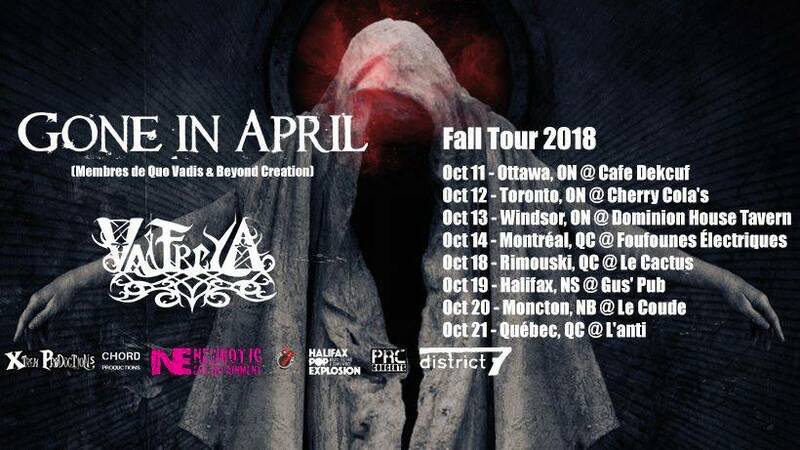 Advance Tickets on Sale NOW https://etixnow.com/events/ingested/may-19-2018/gus-pub | $15.00/advance (+service fee) or $20.00/day of show. Hellbent with special guests Twin Rivals, and OVAV. Plus DJ Interrobang spinning classic jams during intermissions.